It’s been a busy summer! Tomorrow our last group of the summer leaves the village and it is with great sadness that we see them go. Sometimes we wonder if short term groups are of any value, but I can answer that with a resounding “Yes!” They are of value, and they are Jesus’ hands and feet in this village. Sometimes, it is a simple visit to a home where the people are hurting, sometimes it is the healing touch of a medical doctor or nurse, sometimes it is reading or laughing with a child, sometimes it is giving a hug to a lonely and desperate widow. There are so many ways in which God uses us. And for this past week, it has been the skilled hands and minds of willing men to answer God’s call. In a few short days, they have ministered to us, and we have seen work accomplished that would take us months to finish—if we could ever get the work done at all. The cabinet they built to house the e-readers is perfect. 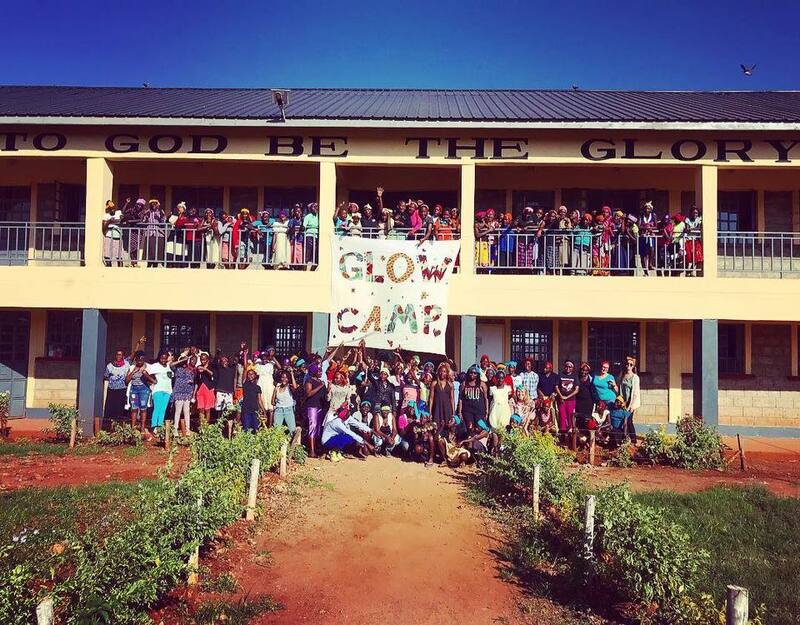 When they started with the scrap wood and humble resources that are available, I cringed—but when they finished and put on the final coat of paint, we all rejoiced at a job well done. When God called me to this place, I knew that we would be touching the lives of the women and children in the village of Makutano and the surrounding areas. What I didn’t realize is how this work would touch the lives of our visitors—followers of Jesus who carry pain and hurt, followers of Jesus who have sometimes lost their way, followers of Jesus who are lonely and troubled. It has been marvelous to hear their testimonies week after week. This morning was no exception as one of the men told his story of bitterness and brokenness and a cold and hard heart and how, through the witness of Pastor Joseph, Davis, and the villagers, God has touched him, renewed him, and brought him back into a loving relationship with Jesus Christ, our Lord. This summer, God has done amazing work in our midst. He uses the quietness, the rain, the mud, and the stars. He uses the times away from home and the testing of our comforts. God reaches to us in ways we never dream possible and we praise His name. We are so thankful for the groups who have come this summer and ministered and share their love—this village will never be the same. I will never be the same because of their coming. Davis, Terry, and I recently took a trip to Rondo to visit the Sabatia Eye Hospital and meet with the director there. It was a great meeting for us! The director provided us with great information that will be so helpful as we run the clinic in the expansion. We all came away very encouraged. 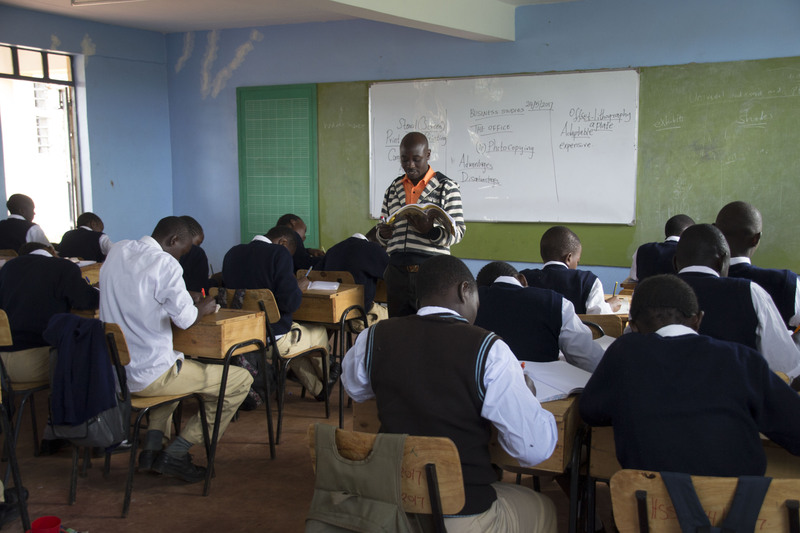 We head to Nairobi this week to get lab equipment! should now have plenty of wonderful clean water! Every day in the village we see people who are hungry, who are thirsty, who need love and care. Every day, the love and kindness of strangers who might never step foot in the village comes to meet the needs and offer hope so desperately needed. Story after story holds witness to the way God is using people to love and care for His own. Matthew 25:35 speaks to feeding, quenching a thirst, and welcoming a stranger in as a friend. I think there are two places in particular where this verse is in action regularly—our dormitories and our growing church community. 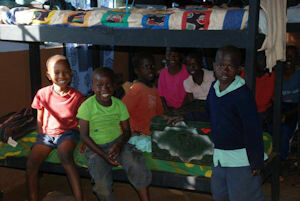 What a difference the 2 dormitory buildings are making in the lives of our children! We just moved about 20 more children into the dorms over the last week and I know more stories will be added to the countless we already have that show how God is working in the lives of people through these new homes. I’d like to share a couple of stories with you here, though there are so many that speak to the importance of the dormitories in the lives of all who live there. Last week, an old woman walked from Moi’s Bridge to come to our school. She has an orphaned grandson in her care and was so desperate for help that she walked between five and six hours to get to Makutano. She is at least 80 years old. She told us the story of the child that she cares for and asked if we could take him. We listened, asked lots of questions, and then Davis and I looked at each other and agreed to take him in. Davis told her that we would board him in our dorm and look for a sponsor to help. She started crying and immediately stood up and started praising God and thanking us. It was a very emotional moment. The child is now happily in the dormitory and doing well. We had another child walk to Likuyani to find help. He had come to Likuyani some months ago to visit an ailing aunt, and he felt she was the only person he knew to go to for help. I guess he knew at some point in his life he would run away and seek help from this woman because he walked here from beyond Rondo on the way to Kisumu. It took him 15 hours to get here and he said he ran much of the time. When he got here, his feet were swollen and in bad shape. We asked him how he knew to get to Likuyani and he said that when he was on the matatu on his last visit to his aunt, he memorized the route and he followed the road all the way here. I asked him if anyone ever bothered him along the way and he said “no.” He is also an orphan who was much abused by relatives and was moving from place to place. When he arrived in Likuyani, this ailing great aunt came to Davis for help. We took this child in and he will have a good, safe place to live for the first time in his life. The children who find their way into the dormitory will find not only welcome and regular meals, they will also find the kind of nourishment that goes beyond that which meets the needs of the physical body. These children find love, peace, and joy that feeds the brokeness many of them carry. Their sponsors are feeding them in ways they might never even realize. Another place that welcomes the people and feeds them in ways only love and the Holy Spirit can is the church community that is developing and growing. 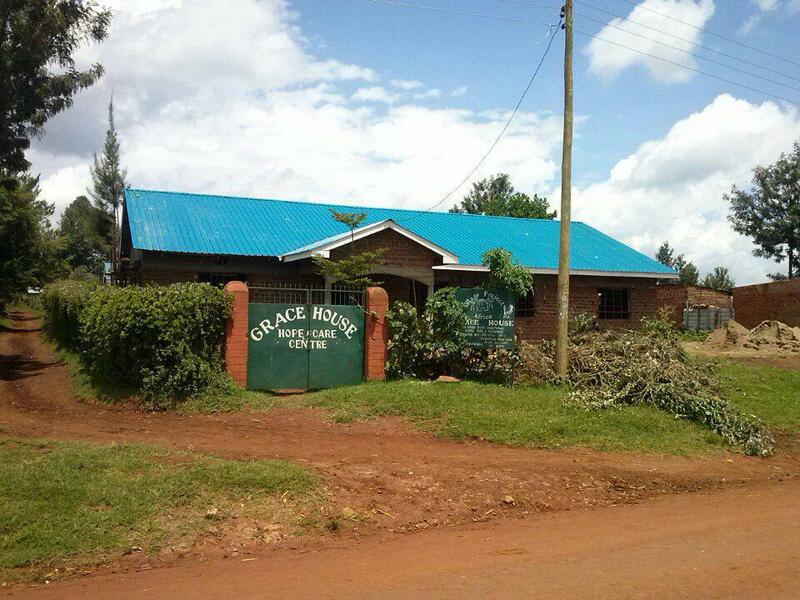 Our new multipurpose building at the Heritage Academy location will be the new home for the church each Sunday. Two weeks ago, the first service was held in the new facility. There were 52 adults and so many moving children we couldn’t get an accurate count. The service was so special. Pastors Joseph and Mapesa were smiling most of the time because they were just so happy. Mapesa has had a vision for quite some time that this will be a big church and life changing for the village. At the end of the service, they dedicated the church leaders. I counted around 20 that came forward to be prayed for and there were some not present. It is thrilling to watch this movement of the Spirit. Each of us, in small or great ways, can address the needs of those who are considered “the least of these.” The dormitories and church in Makutano are by no means the only place where needs are being met on a regular basis—there are so many other places, too, that are touched by the love of God through His people. No matter whether you feed, or clothe, or love someone in Africa or right around the corner from your house, God can use you to change a life! 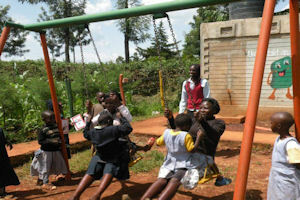 2012 has been an exciting year for Village Project Africa! We have continued to see God at work in the village and are so pleased to see programs continue to blossom and grow. We are so excited to see what He has in store for us in 2013! Heritage Academy will add 6th grade curriculum in January 2013, and accept enrollment for a new preschool class, bringing our enrollment to approximately 600 students. Our children are healthy and happy, and they are learning. Each term we see the test scores improving. 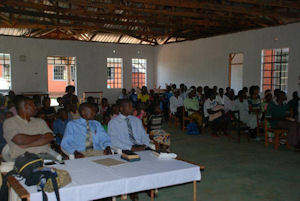 Recently the teachers gave their testimonies to some visitors. 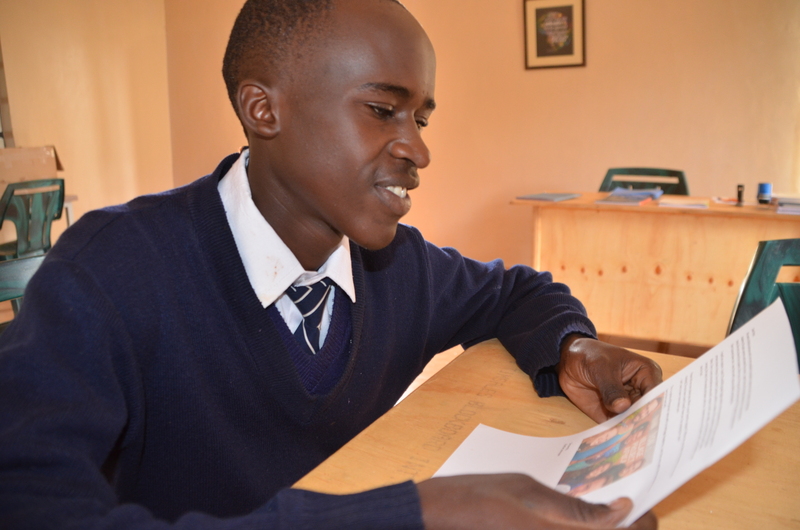 We were inspired as they told, one by one, how God had called and led them to Heritage Academy. Our school is a safe, loving, Christian educational environment. 41 students graduated from Heritage College this month with a degree to teach early childhood education. 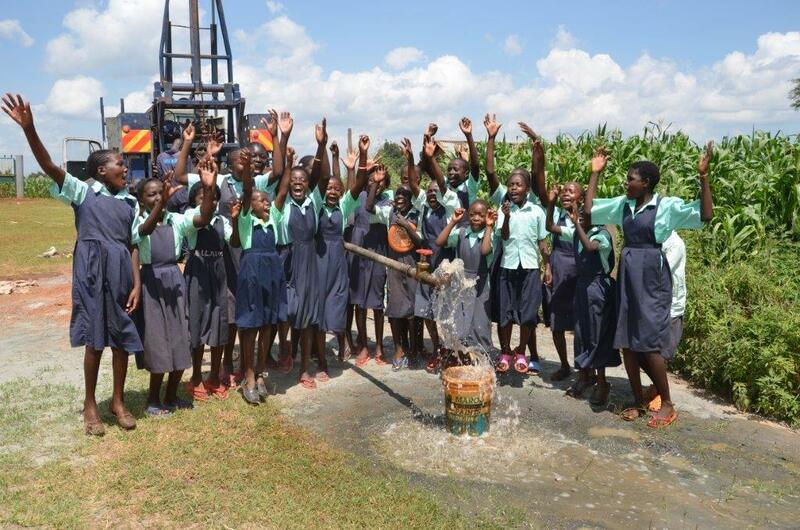 We started Heritage College two years ago with this African proverb in mind: “Educate a girl and you educate a community.” Of the 41 graduates, 11 are girls from our village. These girls now have hope for a brighter future not only because of their education, but also because of their association with our Godly teachers and staff. We will break ground in the coming weeks for the expanded clinic. Recently, another parent died, the father of three of our dear students. We see this much too often. Now our community has another widow and more fatherless children. At the funeral, we saw fear in their eyes because their future is so uncertain. But our Village Project community will walk with them through these darkest days. The death of this father is another affirmation of the priority to expand the clinic and improve the health care available to our community. Thank you, Church at the Crossing, for partnering with us. Grace Community Church is growing. We see attendance of over 30 adults plus children on Sunday mornings. Pastor Joseph and Pastor Isaac will begin teaching the congregation from the books that we used to teach the pastors’ classes. Pray for them as they spread the Word and disciple believers. The agricultural program is growing and prospering. Two greenhouses and the surrounding land are planted with vegetables. We have 4 cows and more on the way. The chickens are producing eggs and meat. AND the bees produced the first honey! This farming program is providing nutritious meat, eggs, dairy products, and vegetables to our school children and employees. 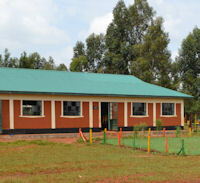 It also provides employment in the community and a small income to the school as we sell extra products in the market. We are getting electricity!! This project was initiated by the parents of our Heritage Academy students, and is a partnership between parents, local community, and VPA donors. Parents each gave 100 shillings and one of the neighbors is allowing the power lines to go through her farm to help reduce the cost. But it was not enough. VPA friends joined together to finish the project, and we will soon get electricity. This will allow opportunities for evening meetings and classes, as well as expanded curriculum such as computer training. Our child sponsorship program continues to grow! We now have over 150 children sponsored and hope to have even more sponsored by this time next year. The education, nutrition, and healthcare that sponsored children have received this year have been absolutely transformative for so many children. A new online system for sponsorship will be rolled out in 2013, so stay tuned. We hope that even more children will find sponsorship—we have close to 500 children waiting for a sponsor! We are so thankful for each of our supporters and the way you have come along beside us in so many ways to continue the work God has laid out before us. We look forward to continued and new partnerships in 2013! We hope each and every one of you has a blessed and happy new year!